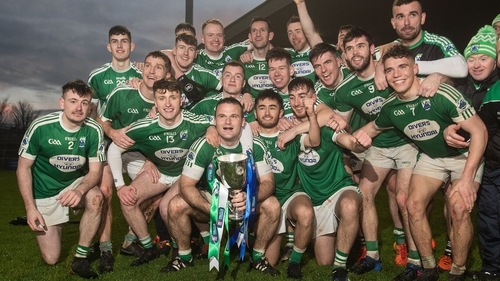 Former Gaoth Dobhair and Donegal footballer Stephen Cassidy believes the grief-stricken community can unite to deliver the perfect tribute to the young men who died in a tragic car crash two weeks ago. Mícheál Roarty, John Hanley, Daniel Scott and Shaun Harkin all lost their lives after a crash in Gortahork, Donegal. Roarty played for Gaoth Dobhair, who face Corofin in the All-Ireland Club SFC semi-final this weekend. Stephen Cassidy's brother Kevin will lead the side into action. It will be a day of raw emotion. "I don't know how this will affect the lads. It could be negative, or maybe they'll take a wee positive out of it," Stephen Cassidy told RTÉ 2fm's Game On. "Life is short. This is a big opportunity for Gaoth Dobhair at the weekend. They can give it a real special go for young Roarty. "Mícheál was a wee gem of a character. He was so proud of Gaoth Dobhair. It's a real sad loss to this community. "His parents are avid Gaoth Dobhair fans, they follow the club everywhere. It's really tough. There'll be a massive Gaoth Dobhair following. This is different territory for us." Stephen Cassidy also paid tribute to former manager and well-respected GAA coach John Morrison who passed away on Tuesday. He worked with several counties - including Donegal - in a long and successful career. "Kevin would have had a high regard for John, " Cassidy added. "When he first came into the Donegal squad he introduced a whole new outlook. He was ahead of his time. Mentally preparing for matches was John's big strength. "Kevin used to tell me if he was looking for a bit of form or a bot of advice before matches, he was he man he'd always turn to." Turlough O'Brien also paid tribute to Morrison, telling RTÉ Sport: "He shared everything he had with everybody. He was the most generous-hearted person I know. "He brought me to sessions with Derry, Mayo, Leitrim. He was just a mine of information. You could throw any difficult situation at John and he'd have a solution. "He was a fantastic individual that anybody who came in to touch with was impacted by. He really had an ability to bring people with him."